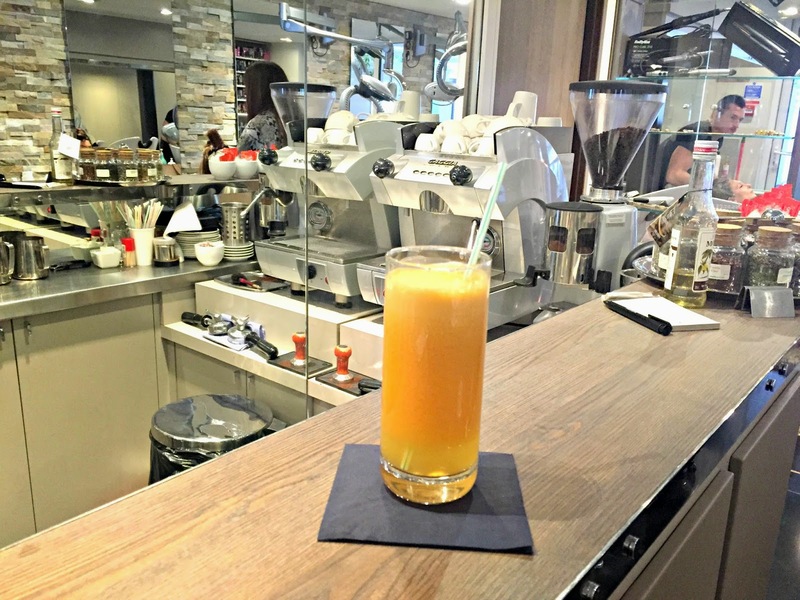 When you step into a hair salon and are offered not just a tea or coffee, but a fresh juice, breakfast or lunch, you know it’s going to be a fabulous experience. 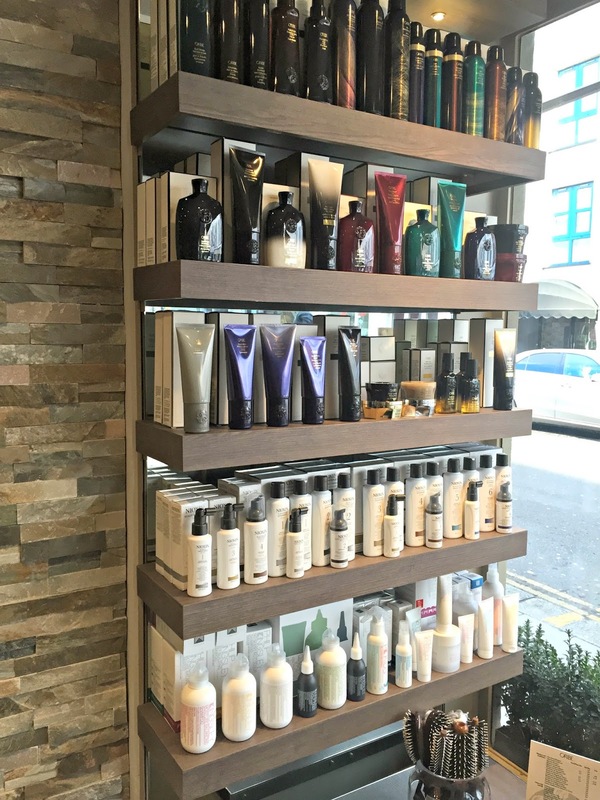 Located on a quaint street away from the hustle and bustle of Knightsbridge, the RYS salon is a haven for those wanting to experience relaxation, impeccable service and an incredible hair makeover! I was invited to visit the salon to see what the senior stylists would recommend for my grown out bleach blonde locks, and here’s how I got on! 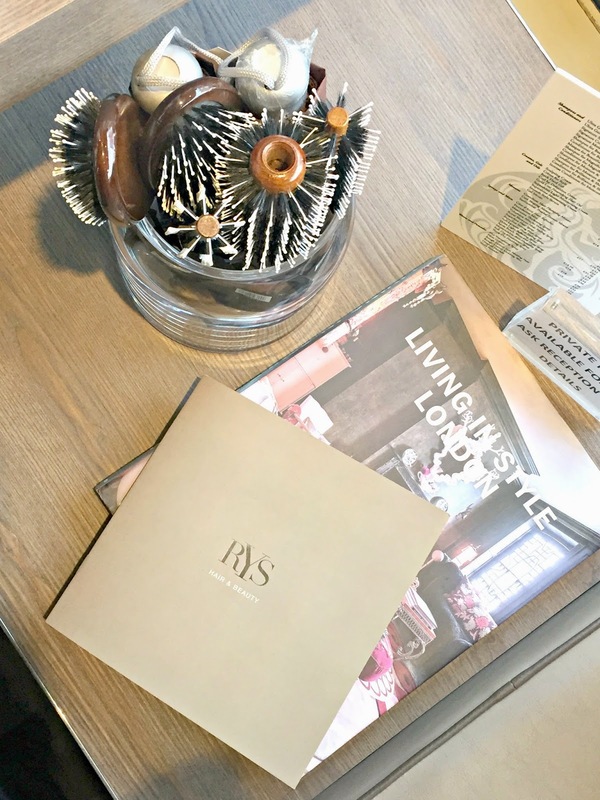 The salon has it’s own bar area, serving clients freshly squeezed juices, smoothies or even a glass of wine as well as the usual tea or coffee. With juice in hand, I then spoke with Jenny about what I was hoping to achieve from the appointment. I explained that I was tired of getting such bad roots, after years of getting my hair bleached the condition was terrible, and the colour looked cheap. I bought in a picture of what I wanted; an image of Rosie Huntingdon-Whiteley with a much more toned down blonde shade. Jenny explained how she recommended the use of caramel and beige tones to blend my routes with the main body of my hair, then use a ballad technique to colour the hair that frames my face. The main colour would be created using a no ammonia colour which fades slowly, ensuring that you don’t get a blunt line by your roots, so this is perfect for hair colour thats a few shades lighter than your natural shade. 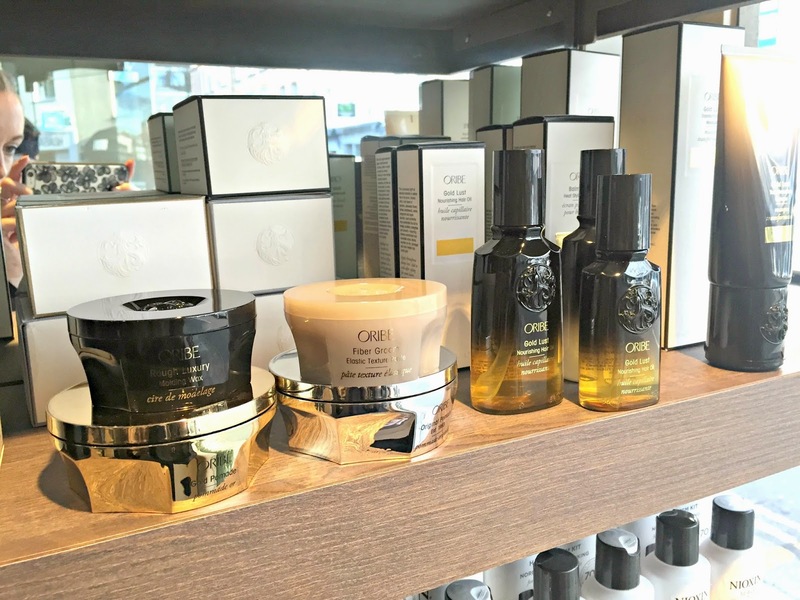 It’s always a good sign when a salon stocks the most wonderful brands; RYS stocks Phillip Kingsly and Oribe – both blogger favourites! Upstairs in the salon, clients can enjoy a manicure or pedicure using the gelColour polish range. 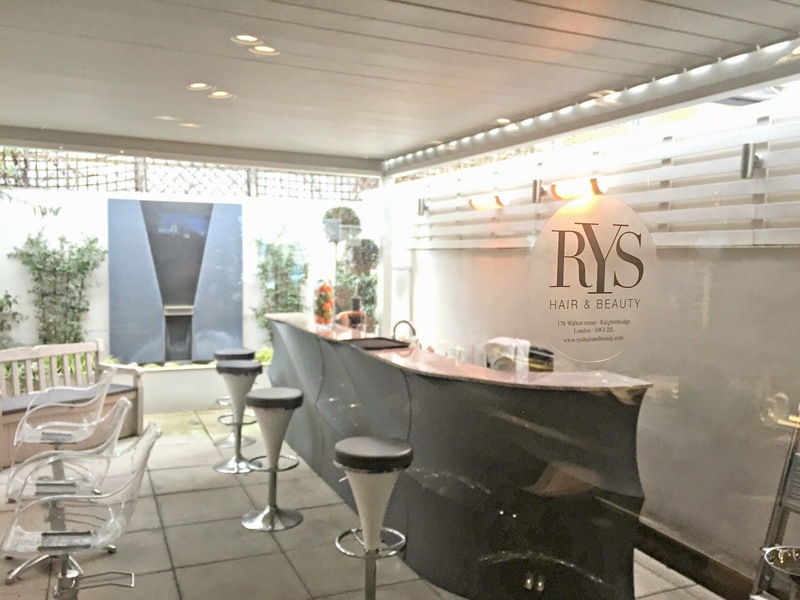 In the Summer months, RYS has a lovely outdoor area with another bar station and hair dressing stations; what a lovely way to enjoy a treatment in the sunshine! So here is what my hair looked like before… it looks even worse from this angle! I couldn’t wait to get rid of my horrible roots! After an hour of applying the hair colour and looking a bit like the Statue of Liberty, I was led over to the hair washing area where I was treated to a sumptuous head massage, so relaxing in fact that I actually nodded off for a few minutes! After a speedy blow dry, the results were revealed! The roots were gone! While I was still blonde, the entire colour looked far more natural and suited to my skin tone, and those cheap brassy blonde shades were all gone. The best part was that Jenny and the team had chosen shades which would suit my complexion and skin tone, so the new shade looks fabulous and expensive! Here’s a sneak preview of my colour, to see more you’ll have to check out my Instagram here! 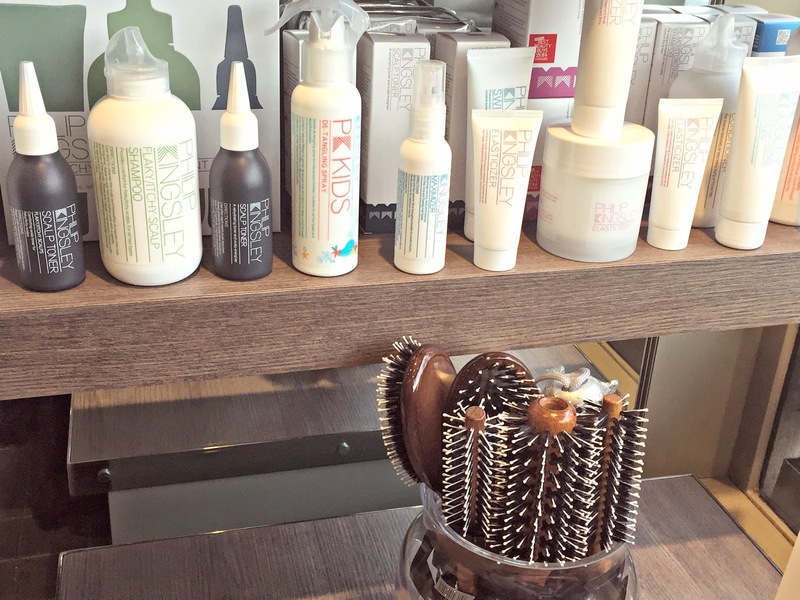 Overall, the entire experience at the RYS Salon was unlike any other salon I’ve ever visited. The team exude expertise and you can just tell that not only do they know exactly what they’re doing, but they’re passionate about it too. 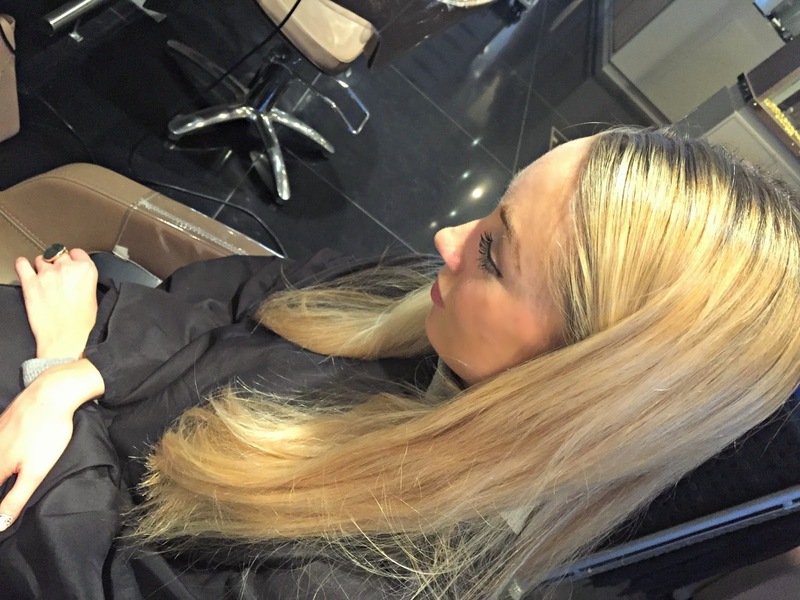 I felt confident that every stylist would bring their expertise to my hair cut, colour, blow-dry or even wash. Your hair is something that you wear every single day, so I’ve always maintained that it is worth investing in. 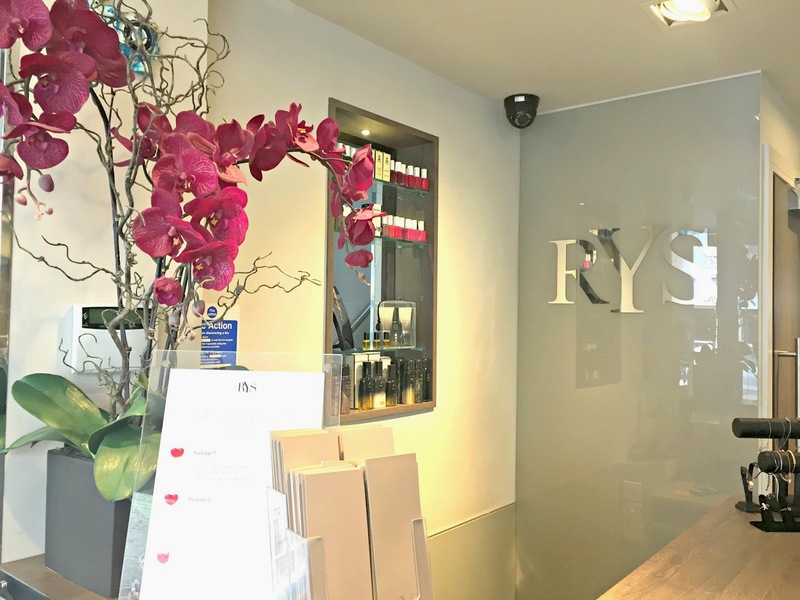 After experiencing the wonderful service and treatment at RYS, there will be no excuse for my locks to me looking anything less than perfect! 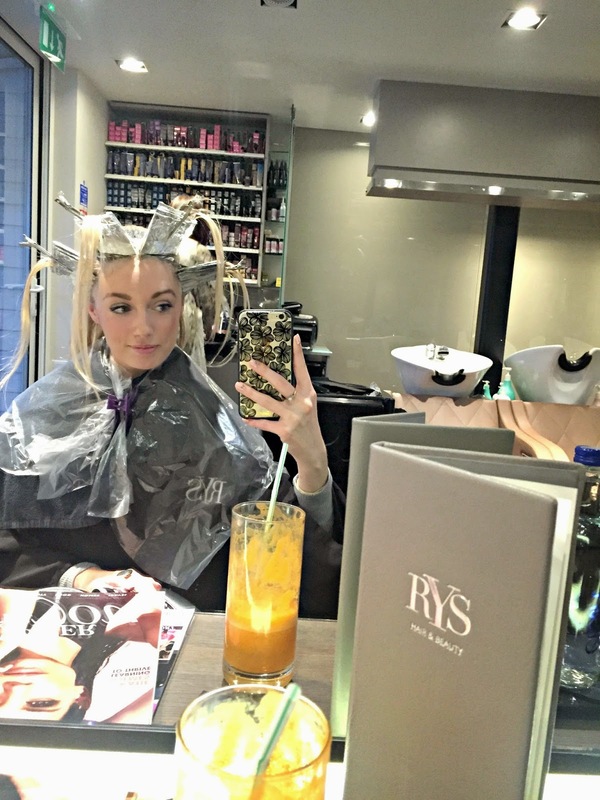 What are your favourite salons? Previous Post The Boyfriend Takeover!